We’ve a few places left on our next Weekend Volunteering Opportunity. We’ll be pruning, maintaining the Gardens and getting them ready for Autumn and Winter. No previous gardening experience is necessary, just a desire to work outdoors in the Scottish weather. Here’s what some previous Weekend Volunteers have enjoyed about volunteering with The Hidden Gardens. Today was the last Taskforce of the year. 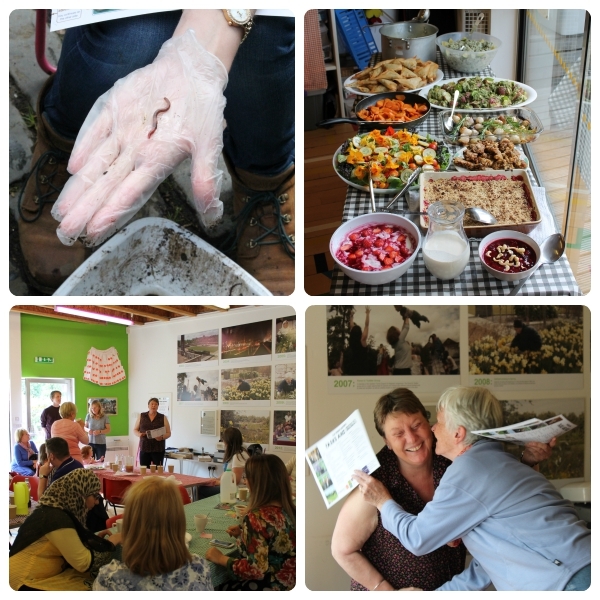 It was a varied day, with part of the group cooking up a delicious lunch for everyone to share, and the other part surveying worms in The Hidden Gardens. Glad no one got mixed up! 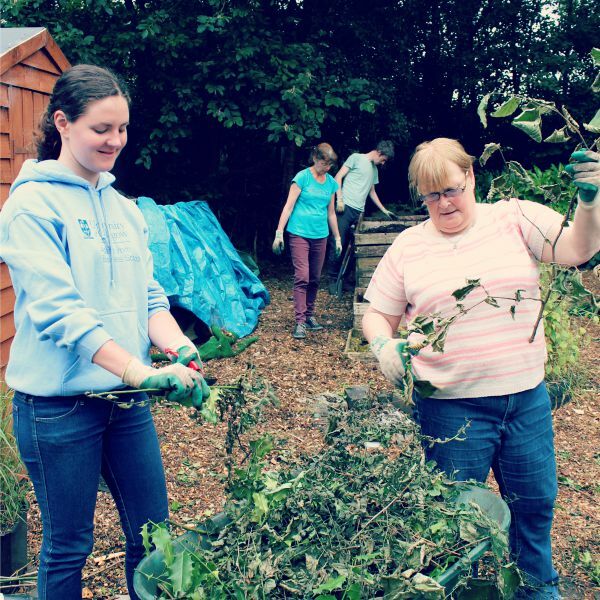 The Hidden Gardens couldn’t exist without all the hard work of our volunteers. Thanks so much for all your work this year, and maybe we’ll see you next year too! This week Taskforce volunteers made their own cyanotypes. Using cartridge paper that had been soaked in light sensitive chemicals, they chose and arranged leaves and flowers from the Gardens to make their own pattern. Check out the slideshow for some behind the scenes shots of cyanotype creation! A fantastic exhibition celebrating volunteering at the 2014 Commonwealth Games is at the People’s Palace. Co-produced by the Games volunteers and Glasgow Museums, the exhibition explores the impact the Games have had on the people of Glasgow. 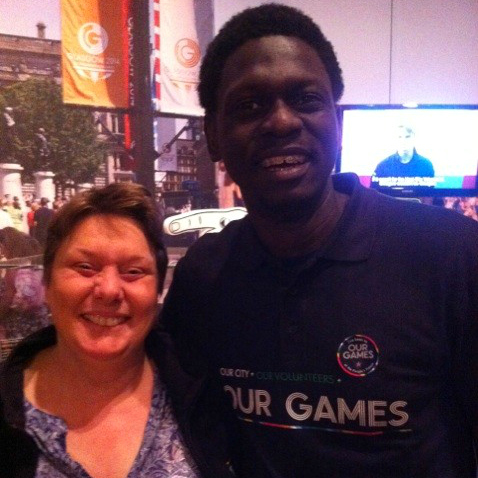 Ibrahim, a volunteer at The Hidden Gardens, volunteered at the Games and is featured in the exhibition. He interviewed our Volunteering Manager Andrea, and the footage is displayed in the exhibition. We hope the newfound fame does not change Andrea. 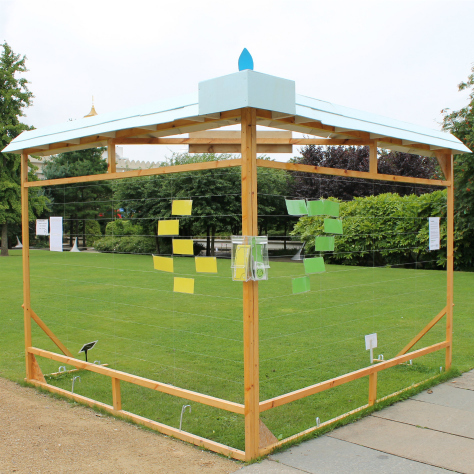 The Timebank, commissioned by The Hidden Gardens as part of the Mandela Celebration event, will now be in the Gardens until Thursday 21st August. Come by to see some of the original volunteer opportunities and pledges. We hope this inspires you to make a pledge of your own. *Our administrator claims that the opportunity and pledge cards look like a 67, a homage to Mandela Day‘s call to action. We can’t quite see it.